Almost £1m has been paid to parents in lieu of the tax-free childcare they should have received under a flagship government scheme. Under the scheme, Revenue & Customs tops up what parents put in up by 20%, up to £2,000 per child per year. But, because of glitches on the HMRC website, thousands have been unable to either set up tax-free accounts or access money they had paid into them. HMRC has received 3,496 complaints from parents experiencing technical issues. Those unable to access the tax-free childcare payments have been paid a total of £966,666. And compensation worth nearly £40,000 has been paid to parents for inconvenience and expenses incurred such as having to call the helpline. 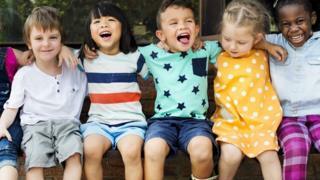 These figures cover the period up to 22 December, but are likely to increase as the deadline for parents to reconfirm their eligibility for subsidised childcare, when applications are expected to have peaked, was 31 December. Chief Secretary to the Treasury Liz Truss told a select committee hearing on Wednesday, that “the service hadn’t been good enough”, adding that parents had faced “huge frustrations”. Neil Leitch, chief executive of the Pre-school Learning Alliance, said HMRC was working to resolve the long-running problems with the website. 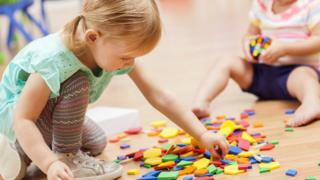 But “at the moment, applying for tax-free childcare and the 30 hours via the online system is a complete lottery – while some parents have been able to use the service without issue, others are still facing a range of technical problems often preventing them from being able to do the simplest things”. “Given this system is meant to underpin two of the government’s flagship childcare policies, clearly more needs to be done to rectify these ongoing problems,” Mr Leitch said. Labour’s shadow early years minister, Tracy Brabin, said the figures were the latest sign “that the Tories are completely failing to deliver the affordable childcare that parents were promised”. “The rollout of tax-free childcare has been a total shambles, with the government missing their own target by over 90%,” she said. Ms Truss said the root of the problem was a complex interaction between the three organisations delivering the web-based service: HMRC, computer company Atos and NS& I (national savings). She added that 12,000 manual codes had been issued – over the telephone rather than automatically via the website. HMRC head of transformation Nick Lodge said: “The vast majority of people have been able to use the digital service. “I apologise on behalf of HMRC and others for those problems, people had a right to expect a better service. “We’ve made significant improvements to the service since the summer. “It doesn’t mean there are no parents with remaining difficulties to sort out. A spokesman for the HMRC said: “More than 340,000 parents have successfully opened a childcare account, and are benefiting from new forms of government childcare support, which will cut thousands of pounds off bills for millions of households, supporting parents to return to or remain in work. “If any parent is having a problem or needs to speak to us, they should call us on 0300 123 4097.